Now here we are exactly 20 years later and President Trump finds himself the object of a lurid tabloid report about his extramarital sexual conduct. Her name is Stormy Daniels and the following interview clearly reveals her MO as a professional honey trap. Hence, the real question is: Who is she working for? The bottom line here is that Trump is quite likely being threatened with the release of much more than just the highly embarrassing “Stormy Daniels” revelations, especially if he does not comply with whatever demands are being made of him. $64,000 question(s): Who exactly is blackmailing the POTUS? What are they coercing Trump to do at this very delicate and weighty moment at the end of his first year in office? There’s no disputing that the purposefully timed release of the “Stormy Daniels” story occurred just before the highly trumpeted “Fake News” awards were published by the White House. Was Deep State sending a warning to Trump not to follow through on his mainstream media (MSM) demolition project? Clearly, as both Candidate Trump and President Trump, he has inflicted more irreparable damage on the MSM than any other person in history…to his great credit. Since the MSM is the primary pillar of Deep State control of American society, those folks are extremely unhappy with Trump. At this point the decision-makers who command the U.S. Intelligence Community will do anything in their power to bring down the Trump administration, once and for all. Because of this predicament alone (i.e. Trump’s 3 AM Twitter flame-throwing), the power structure that rules Western civilization knows that the longer Trump is in office, the more the MSM will lose it exceedingly powerful [yet detrimental] influence to shape the future. Hence, the “Stormy Daniels” story has been given legs as a threat to Trump that many more similar exposés will be forthcoming if he does not stop the tweets. There is also the prospect of a government shutdown, now aptly known as the “Schumer Shutdown”. 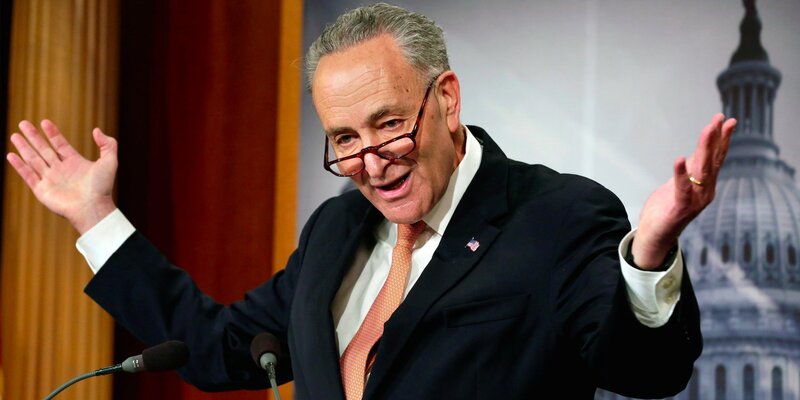 Chuck Schumer and his ever-obstructionist Democratic Party will do everything possible to foist a one-sided DACA resolution on the president. The ultra-liberal (read: treasonous) politicians throughout Congress have been working overtime to impose an immigration policy on the administration that is absurdly favorable to illegal aliens. That this transparently seditious endeavor is even being considered by the administration is inconceivable given that Trump lost the 2016 popular vote because of the rampant and unlawful voting by illegals but especially by DACAs. Therefore, the timing of the “Stormy Daniels” scandal may also be related to forcing a decision from Trump that is quite favorable to the Dreamers. This particular issue forms the very backbone of the Democrats’ conspiracy to take back both houses of Congress. Only by keeping millions of Dreamers in country can the DEMs hope of stealing enough elections in the future to reverse the conservative voting trend that began with Trump’s victory. The extraordinary importance of this single clandestine strategy by the DNC (and Democratic Party state leadership) cannot be overstated. Not only was Obama’s DACA policy central to the planned takeover of the U.S. Federal Government, it also represents a critical element of the Soros-funded social revolution impelled forward by Cultural Marxism. DACA and “open borders” are especially ruinous to the American Republic because of the twin disasters of multiculturalism and political correctness, which they both perniciously promote (See the current state of affairs throughout the European Union). Needless to say, the liberal mainstream media would run any story they felt would somehow compel the president to bend to their cultural Marxist agenda. 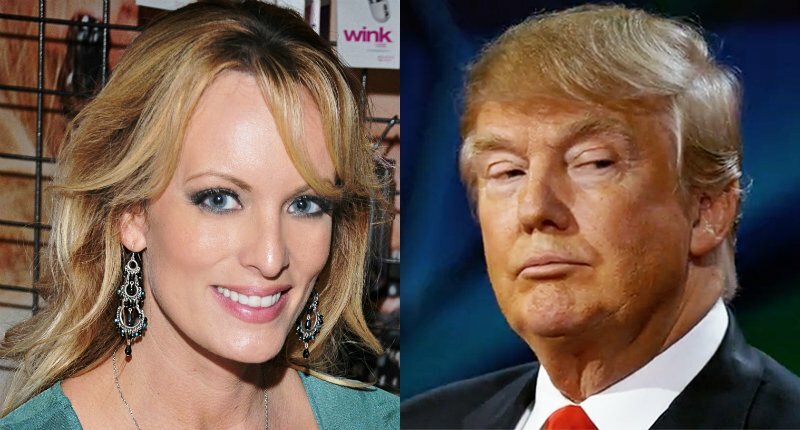 It may very well be that the “Stormy Daniels” report was floated at this time to warn Trump of similar tabloid trash that is coming down the pike. This cynical tactic will not only erode his base of Christian and social conservatives, it will also undermine his stature abroad and tenuous credibility making it even more difficult for him to govern. Highly consequential psyops like the “Stormy Daniels” affair are always implemented to complete several items on the hidden agenda. Just as Bill Clinton was set up with the Monica Lewinsky honey trap by Israel’s Prime Minister Benjamin Netanyahu, it appears that Israel wants Trump to perform what can only be a special presidential function on their behalf. History has shown that the Israelis will perpetrate any scheme in order to carry out its plans using the United States government and military as mere pawns. For example, it has been asserted by deep insiders that the real reason that the Lewinsky honey trap was used to take down Clinton is because he refused to pardon Israeli dual citizen and convicted Mossad spy Jonathan Pollard. There’s simply no refuting that Netanyahu has Trump on a very short leash. For instance, Trump’s first and only official pardon to date was given to Sholom Rubashkin, an ultra-orthodox Jew and member of the fanatical Chabad-Lubavitch Hasidic movement. This pardon was highly questionable for several profound reasons that are well beyond the scope of this article. However, it’s important to note that Rubashkin “Employed Hundreds Of Illegal Immigrants” before his arrest. Suffice to say, that factoid unequivocally demonstrated that Trump has an inordinately close relationship with the current Likud administration; otherwise, why would he commute the sentence of an Israeli dual citizen who acted contrary to Trump’s pet project and oft-repeated campaign promise to sternly enforce immigration law. An objective evaluation of Trump’s first year in office will also reveal that he has permitted his foreign policy in the Middle East (and elsewhere) to be dictated by Israel. As a matter of historical fact, Israel has controlled the White House — directly or indirectly — since the assassination of JFK. Therefore, they are quite used to getting whatever they want. When they don’t, the Israeli government will resort to any means necessary to achieve its geopolitical and/or economic goals. A N Y T H I N G ! 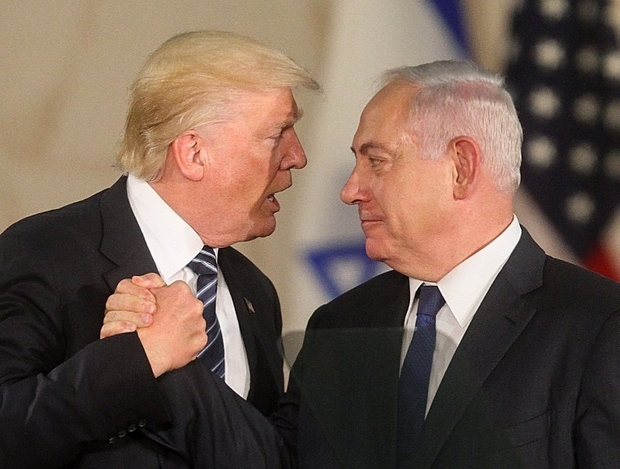 One glaring example of this mutually destructive relationship between Trump and Netanyahu is the always changing and highly disruptive U.S. military policy in Syria and elsewhere in the Northern Levant. After the Obama administration essentially invaded Syria without a declaration of war, Trump’s generals have significantly expanded US military involvement in clear violation of international law. The whole world waits and watches for Trump’s next move against a sovereign nation as the U.S. establishes an even larger military footprint within Syrian borders. Trump is after all the Commander-in-Chief of the U.S. Armed Services, so he is ultimately accountable for this naked warmongering. U.S. Military Violates International Law In Syria—Who do these generals really work for? Within international intelligence circles, Israel is well known to have the largest and most sophisticated spying and surveillance apparatus in the world. Their Internet-based technological capability is second to none and is directed toward the 24/7 monitoring of governments worldwide, especially Washington, D.C. (Israel also has access to the massive databases and advanced technologies of the U.S. Intelligence Community.) As a result, Israel knows what every US president will do (or not do) before any presidential action is decided upon. This allows them to proactively influence those decisions which impact Israel. Many extreme measures have been taken by every Israeli government since the founding of their nation in 1948 primarily because of “perceived” existential threats. When any nation is methodically established through deliberate acts of terrorism (like Israel was), it’s very difficult for their leaders to sleep at night. Consequently, for the American people, every POTUS is kept under very close and constant surveillance. This intensive spying regime ensures that Israeli interests are always served before those of the United States. Only with this correct understanding can any political analyst truly comprehend the continuous Kabuki theatre on Capitol Hill and in the White House. Trump is between a rock and hard place … like no one else on Earth. The rock is Israel; the hard place is the American people. God only knows how much blackmailable behavior he’s vulnerable to. His many high-profile occupations certainly exposed him to all sorts of unseemly characters. Therefore, the deeper President Trump gets into his first term, the more plots the nation will likely witness which attempt to humiliate him into doing the bidding of Israel.